We got exclusive leaked shots of Zune HD's packaging. It's final: It will be available on September 15th. 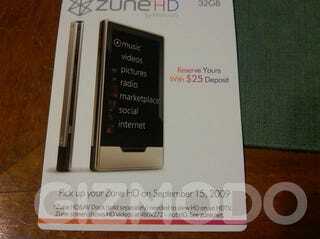 Zune HD to Cost Between $249 and $280 in September?